2game.com - is an official authorised digital e-tailer dealing in video game activation codes sent instantly via our website. Created in 2012 by avid gamers, (with a collective experience of over 50 years), 2game have an understanding of what gamers want! Customers can browse and buy from a choice of over 2000+ digital product downloads which are available to download instantly for the PC, Steam, Origin, Uplay, Xbox Live, Playstation Network and Nintendo Eshop. We are working with Video Games publishers directly and no 3rd party distributors which mean we can guarantee a level of service and quality of product. As well as this we will be running weekly promotions geared up for each region we serve UK / EU / USA. Using Zendesk Customer Service software, we are able to offer committed and dedicated customer care throughout the whole sales process. We are on hand by phone, live-chat 24/7, or email to assist. We understand how crucial it is to receive a smooth, transparent service so you can spend your precious free time, doing what you love, Gaming! The beauty of digital products mean the service is greatly streamlined, fully automated and completely functional whichever timezone our customer may be in. Earn 7% commission on sales from new customers and 4% from existing customers. 365games.co.uk - cover eveything, from the latest game releases on Xbox or Playstation to T-Shirts, Collectibles, Gadgets, and plenty of fun stuff in between. We are based in the UK and deliver worldwide. All our games are PAL or region-free and are fully compatible with UK consoles. By buying from 365games.co.uk customers can save up to 50% off the retail price of many games and our Player Points scheme allows you to store up credit to spend on site. As an affiliate you can look forward to regular promotions, frequently updated banners and data feeds and best of all 5% commission on new customers and 2% commission on returning ones. So what are you waiting for? We have over 30,000 products for you to promote and earn commission from. Get started today! Barnes & Noble - is the world’s largest bookseller and one of the most trusted brands offering online customers everyday low prices on millions of books, DVDs, Blu-rays, music, toys, games, home and gift items, and more! Earn 2% commission on Barnes & Noble physical purchases and 4% on Nook and digital products. You can use banners or build a portfolio of items to sell direct as shown here on a model Barnes & Noble storefront. Boomerang - The Online Video Game rental is growing part of the huge UK Video Games market which is estimated to be worth a total of over £2 billion a year! Boomerang is the UK's leading independant Video Game Rental site. With the current economic uncertainty, more gamers are choosing to rent. They can still play those brand new releases, but at a fraction of the cost of purchase. Since we were established in 2005, we have built an excellent reputation by offering a first class rental service, backed up by responsive customer support. We offer a unique mix of a first class website, a wide range of titles stocked and an unrivalled range of membership packages. We believe we are also the only site offering downloadable instruction manuals, not to be underestimated when customers want the most from the games they rent! Not only that, we also sell ex-rental games and give our customers the option to buy the game they are renting. We also sell new games at fantastic prices. So, not only do our affiliates have the opportunity to earn great commission on successful free trial sign ups, they can also earn commission on any purchases made within the first 30 days! Default Commission Rates New Rental Customer; up to £5.00 per valid lead; New Game Purchase; up to 5% of order value; Ex-Rental Purchase; up to 5% of order value. The Chess Store - is one of the largest chess retailers in the world with hundreds of popular chess products and other games. We specialize in fine Staunton wood chess sets along with thousands of other chess products. Our exclusive chess set designs, large selection of high quality products, unmatched value, and excellent customer service are our trademark. Earn 8% commission on sales. Fanduel.com - is a daily head-to-head fantasy sports game where players play fantasy sports in a day rather than across an entire season. FanDuel.com lets you play and win at fantasy sports in a day instead waiting the whole season. Players can draft a new team at any time, and pitch it head-to-head against an opponent - a friend, or another FanDuel player - for real money. The player whose team has the most fantasy points at the end of the day's games wins the cash prize. It's purely fantasy baseball right now, but with football season coming up, the fantasy football game will launch soon. Draft a team, choose opponent & entry fee ($5 to $25). If your team scores more fantasy points today than your opponent's, you win the cash prize. Earn 40% of all revenue generated on every game played by a player for their lifetime. Personal affiliate IDs, no need for cookies, high conversion rate. Freelotto - is the #1 free lottery game on the internet. FreeLotto.com is a fun, easy to play sweepstakes site. Since 1999, we have awarded $104,219,220.00 in money and prizes. You no longer need to search the web to buy lotto tickets online. Unlike an online lotto, we don't require our users to pay to play their numbers. 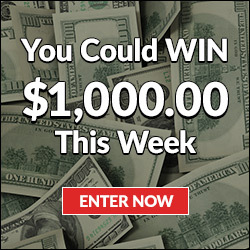 FreeLotto.com offers players the chance to win money every day with the following games: $1 Million Classic FreeLotto®, $50k Win A Car, $100k Pay Off Your Mortgage, $10k FastCash, $100k Giveaway, and $10 Million SuperBucks. Best of all, it's ABSOLUTELY FREE! To join, simply sign up with your Name, Postal Address and valid Email Address. Countries: US, AU, CA, NZ, UK. Earn $1.20 (US) per referral. FUPA.com - offer the very best free online games. FUPA automatically update our free flash games every day. We have every type of online game available. We offer classic arcade games like the ones found on similar free online gaming sites. We also offer Board Games, Kids games, online games, sports games, free flash games, web games, internet games, action games, puzzle games and many more games all for free. Finding it tough to make money with your flash game or flash games portal? Looking to increase your advertising revenue? Need a flash game sponsorship? We can help you monetize your traffic so you can focus on making and promoting great games. Our flash games affiliate program cuts out the middle man (advertising networks) because we pay you directly for flash game traffic. Users love our site and we've optimized it to convert your traffic into cash for you and is a great way to make flash games money! Our affiliate partners earn $0.04 per FREE game play and $0.04 per FREE signup with 30 days cookie tracking. f.y.e - is a leading specialty retailer of entertainment and pop culture merchandise stores In the United States and online at fye.com. We offer a unique entertainment perspective through innovative and creative products that further the connection between our customer and entertainment. Founded in 1972, FYE now operates nearly 300 stores and remains one of the most well-known names in retail entertainment. Earn 5% commission on sales. G2A UK - G2A is the largest gaming marketplace in the world with more than 60,000 products including PC games, Steam games, prepaid cards for consoles, skins, consumer electronics, gaming pcs, mouses, keyboards and geek merchandise and more. The platform is known for having great discounts and as a great sponsor of eSports and influencers around the world. G2A has more than 200,000 sellers and 60,000 products in addition to good prices. Our audience is mostly young and masculine, always ready to take advantage of good discounts and news from the world of technology and video games. Commissions: 4% on each confirmed sale. GameSeek - UK and Europe's Number 1 Internet Gamestore. The UK's fastest growing online retailer of video games and consoles specialising in all major formats; PlayStation 4 (PS4) & PlayStation 3 (PS3); Xbox One & Xbox 360; PS Vita & PSP; Nintendo Wii and Nintendo Wii U; Nintendo DS, DSi, 3DS and 3DSXL; PC; Retro Gaming Selection (including PS2, Gamecube, Xbox, plus older formats). Founded in 2000, based in the UK; Gameseek is much more than a GameStore. Aswell as being the #1 destination for gamers, we sell a vast selection of entertainment products including DVD & Blu-Ray Video, Electronics, Computers & Peripherals, Home & Garden, Sports & Outdoors, Books, Clothing and the very latest Toys & Gadgets. The most competitive pricing on products equalling terrific conversions for you. Earn 3% on in Stock Items. GammonAffiliates - GammonEmpire is all about bringing the Backgammon enthusiasm and excitement to people worldwide, enabling professional and amateur players to play against each other in a geographically boundless environment. Our passion for the game is reflected in the software, game-play and customer care: we try to make them as realistic as possible to maximize the gaming experience - In other words, make it more FUN. Through GammonEmpire, you can learn more about the game, improve your backgammon skills, meet new people and last but not least: Make a lot of money by beating other people in your favorite game! New! Backgammon school is now open. Whether you`re a novice or a pro, join GammonEmpire`s backgammon school and improve your skills. Earn $40.00 per sale. Guild of Wars: 2 Heart of Thorns - the fastest selling MMO game in the West. The Guild Wars 2 Affiliate Program is excited to work with great partners to help us put some of the best games into the hands of gamers around the world. As a Guild Wars 2 Affiliate, you'll receive: 10% commission per sale, plus opportunities for increased commission; Promotions and special events; Dedicated program management; Outstanding conversion rates; Global program with localized creative banners and text links; 45 Day Cookie. I Can Have It - is a competition site where you can win some amazing prizes. Anything that you are thinking of buying, you can try to win it. I Can Have It is skill based competition offering hundreds of everyday prizes to be won. Each competition has a small limited number of tickets and a GUARANTEED WINNER. Default Commission Rates, Standard Purchase: 1+ sales per month - 10% of order value; 10+ sales per month - 12% of order value; 20+ sales per month - 15% of order value.